Our kitchens are geared towards future culinarians who are looking to make an impact & work towards a challenge. As we grow, you will advance & gain the ability to work with food, develop leadership skills, & stay sharp in our fast-pace culinary environment. 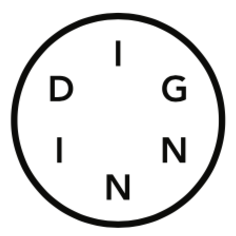 If you are seeking a community where education, purpose, & taste matter, we encourage you to join our fa(r)m.
Dig Inn is a vegetable-forward fine-fast casual restaurant group whose mission is to build community through food. With 19 locations in NYC & Boston, & more sprouting soon, we are looking to grow our team & nurture the next crop of bright & driven people who are looking to impact the future of food. Our community is built through learning & development & as we grow, opportunities harvest from within. The work we do is challenging & fast paced, serving over 15,000 lbs of vegetables per week in each of our scratch based kitchens. As cooks develop into chefs, we are building a diverse & inspiring brand along the way.